The Simon Foundation for Continence, a Chicago-based national non-profit organization serving people with loss of bladder and bowel control, will highlight its 30th Anniversary with a Gala at the Lincolnshire Marriott Resort on Friday, April 12th. Chicago, IL, April 10, 2013 –(PR.com)– The Simon Foundation for Continence is the first US organization established solely to provide help and hope to the estimated 33 million Americans who are affected by incontinence. Attending its 30th Anniversary Gala event will be thought leaders in the incontinence field and guests from around the world, including: England, Canada, Denmark, Sweden, Ireland, Germany, Japan, New Zealand, Australia, Brazil, Israel, the Netherlands and the US. 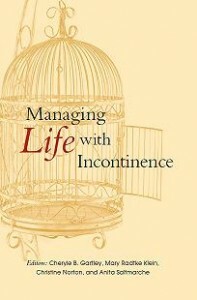 “It’s a pleasure to have such a public opportunity to talk about a topic that is usually way too far under the radar, and to publicly celebrate the progress made by the Simon Foundation for Continence and its supporters,” stated Mary Radtke Klein, Gala Chair and an Advisory Board Member of the Foundation from Portland, Oregon. The Master of Ceremonies for the evening is Professor Alan Cottenden, of the University College London. The Gala celebration will include a presentation highlighting the accomplishments that have taken place around the world over the last three decades to improve the health and quality of life for the world’s estimated 200 million individuals with incontinence. In addition, attendees of the Gala will have the opportunity to bid on donated items for a Silent Auction before dinner and dancing. The evening’s entertainment will include singer and composer Todd Kessler, who has been performing professionally since 2005, and in 2012 was a contestant on NBC’s hit series The Voice as a member of Team Ceelo. In conjunction with the Gala evening event, the Foundation is hosting its 4th biennial conference, Innovating for Continence: The Engineering Challenge from April 11th to 13th. The Innovating for Continence Conference Series is a unique, international conference for engineers, physicians, nurses, people with incontinence and their caregivers, academics, industry executives, and those with a passion for increased development of creative and efficacious products for the management of incontinence. These multi-disciplinary meetings attract speakers from a wide range of disciplines: experts in areas of technology that have yet to be applied to incontinence; patients and caregivers whose presentations challenge experts to brainstorm ways in which unique technologies can be applied to incontinence issues; physicians, nurses, and other healthcare providers whose clinical experience enlighten meeting attendees on current medicine’s limitations and successes. The 30th Anniversary Gala and the conference series are made possible through generous support from individual and industry sponsors. Posted in Press Releases from The Foundation and tagged Alan Cottenden, Innovating for Continence 2013, Mary Radtke Klein, The Simon Foundation for Continence 30th Anniversary.